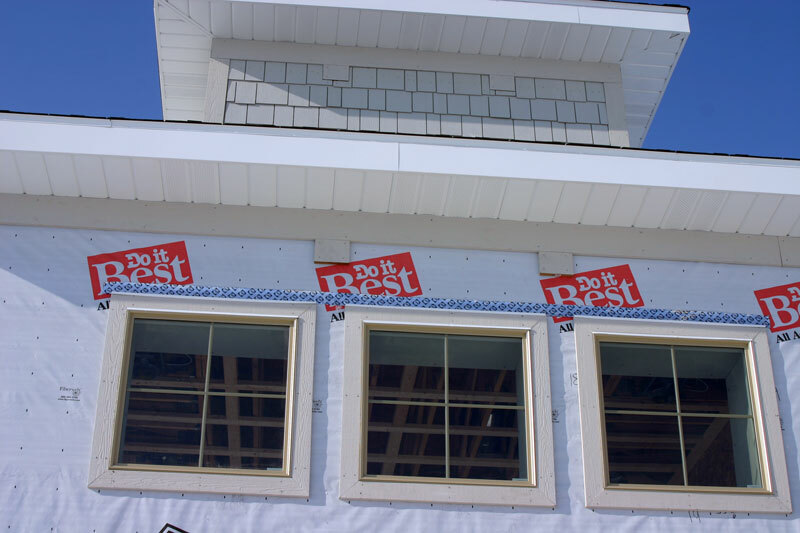 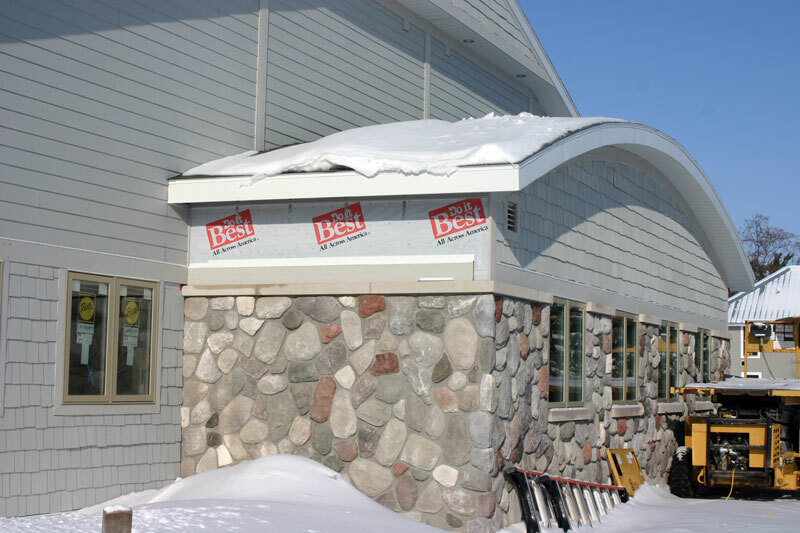 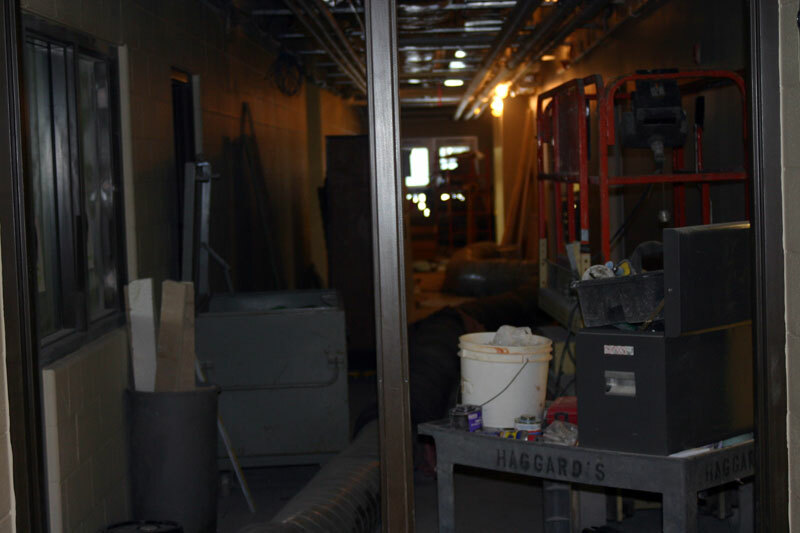 The construction project is moving forward quite quickly with the scheduled State Fire Marshall inspection scheduled this week. 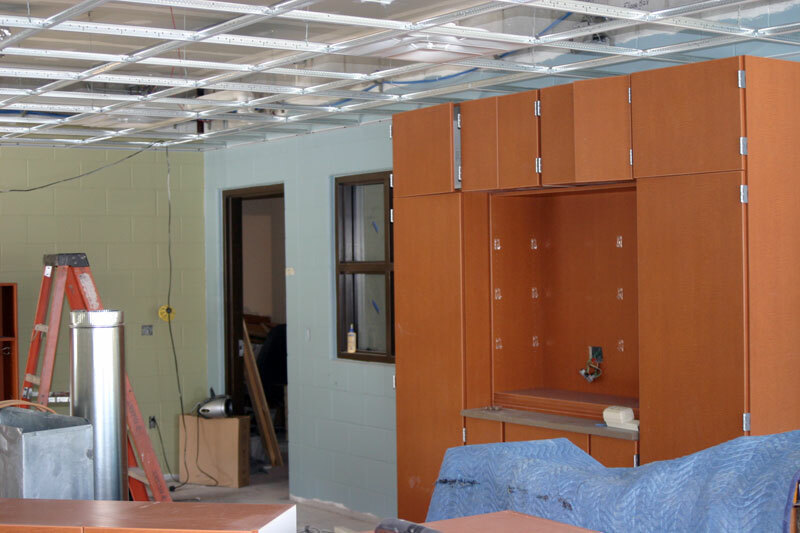 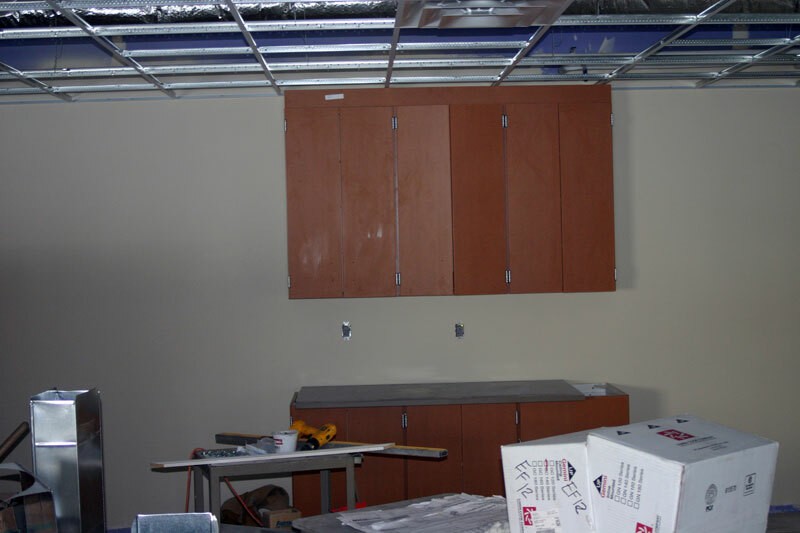 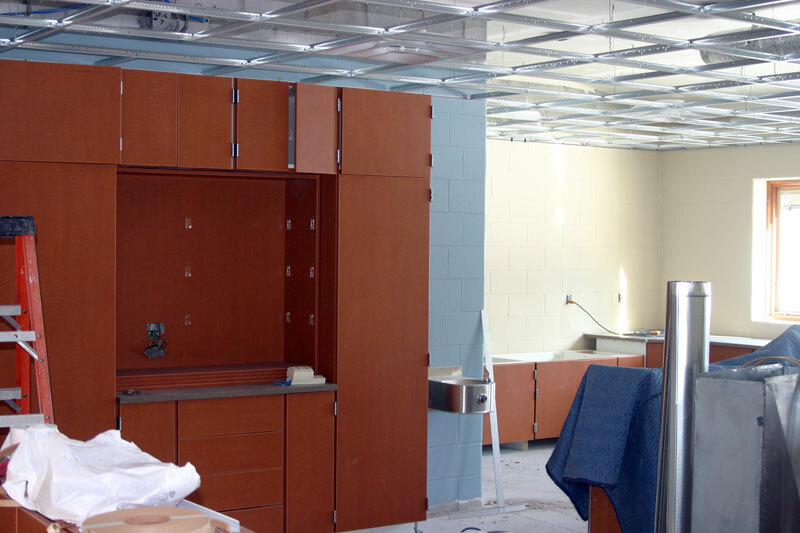 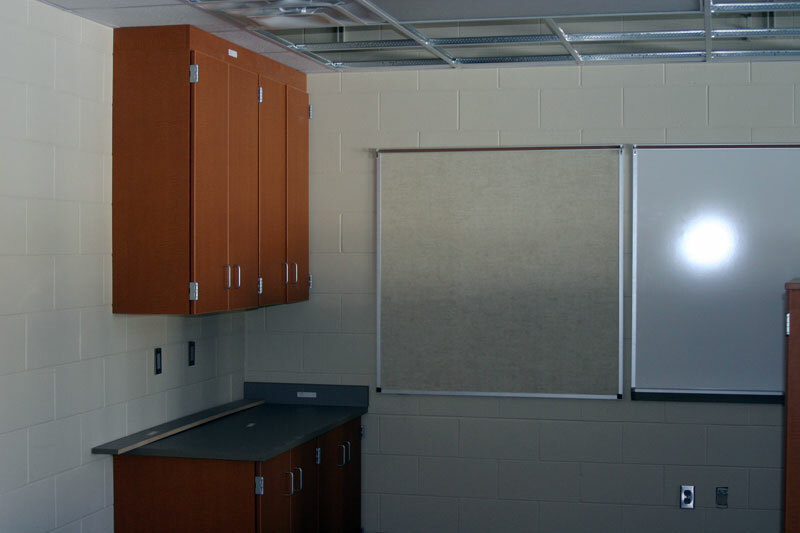 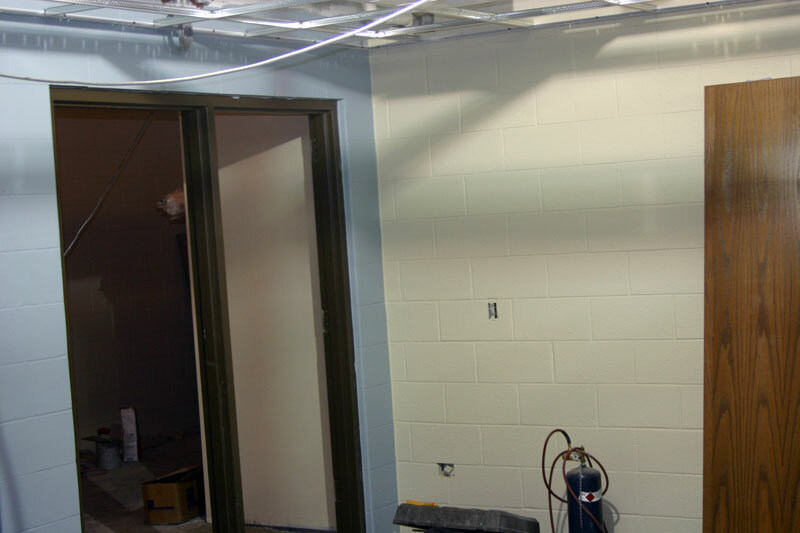 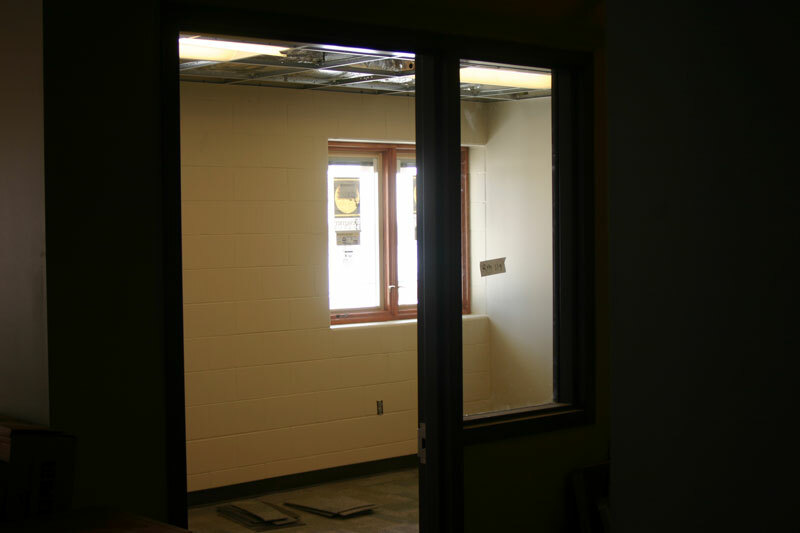 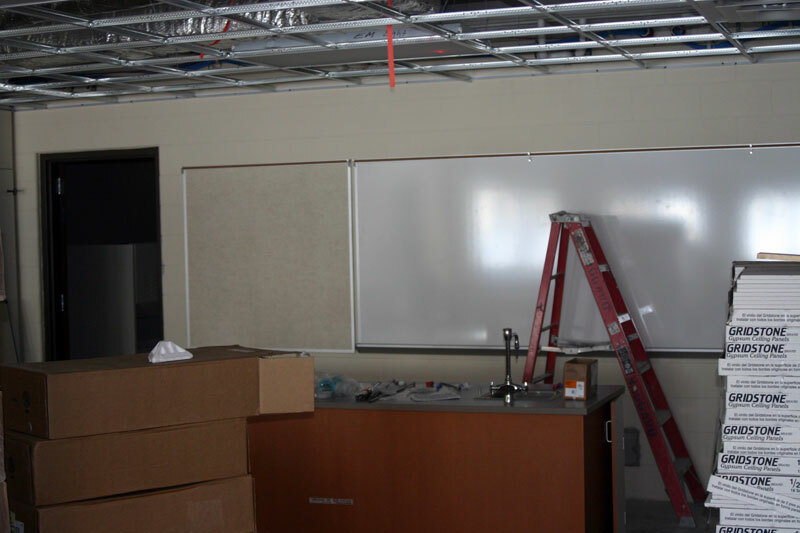 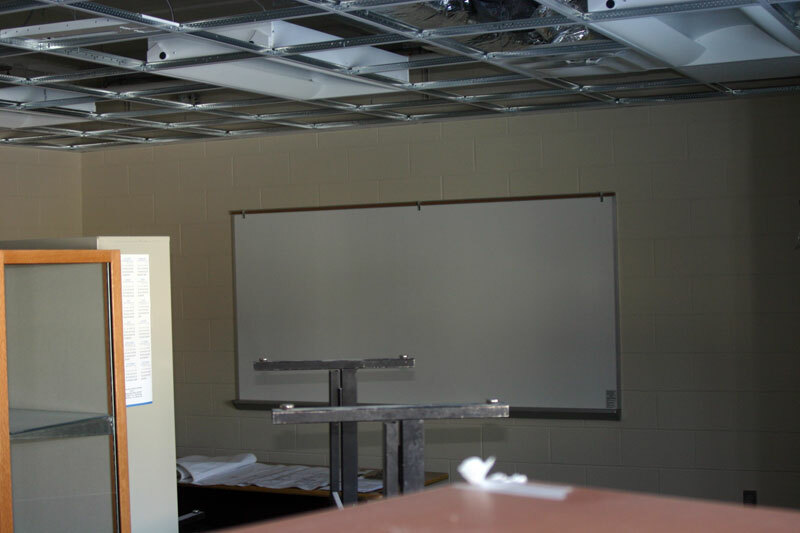 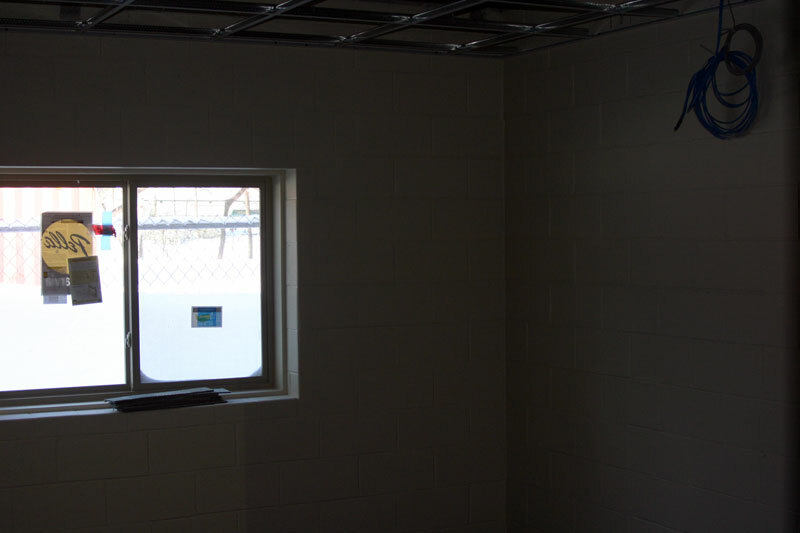 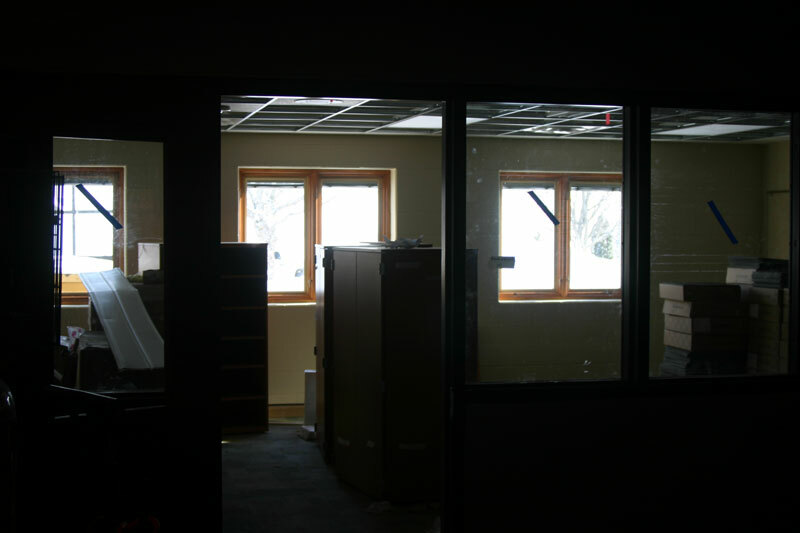 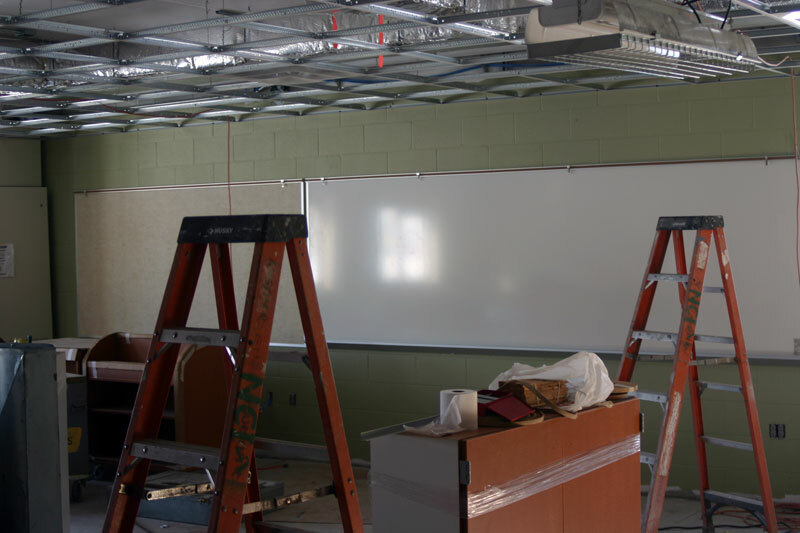 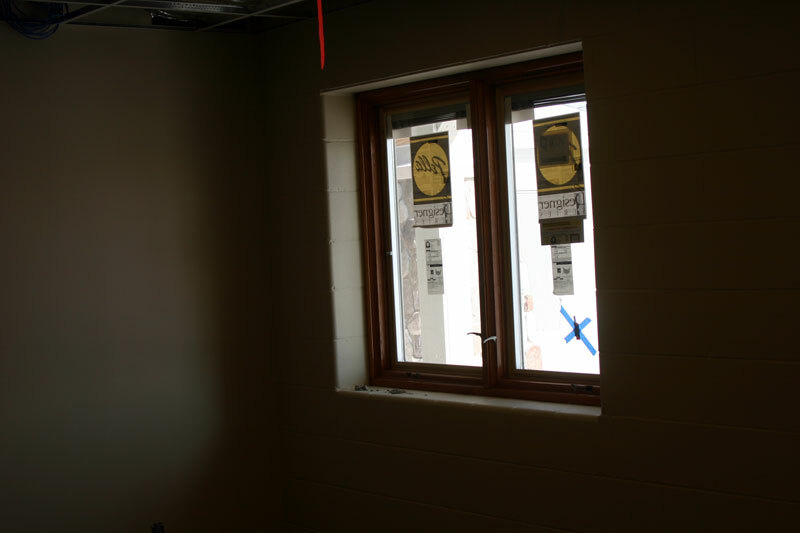 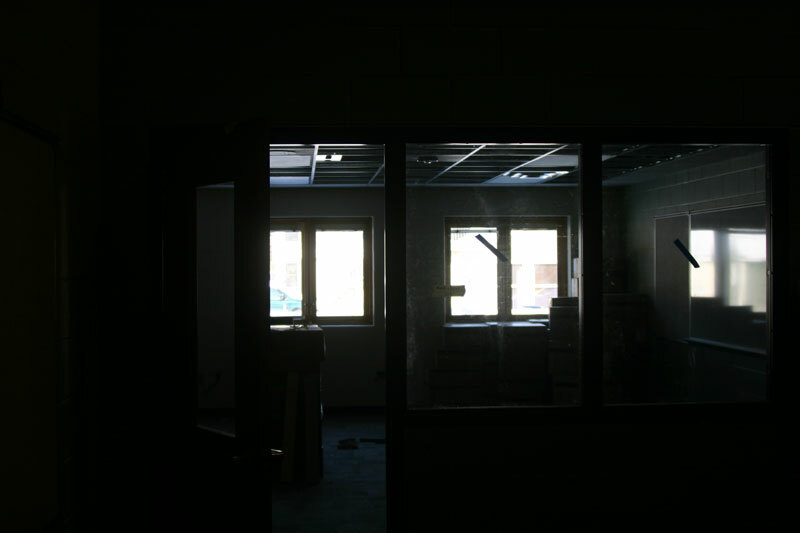 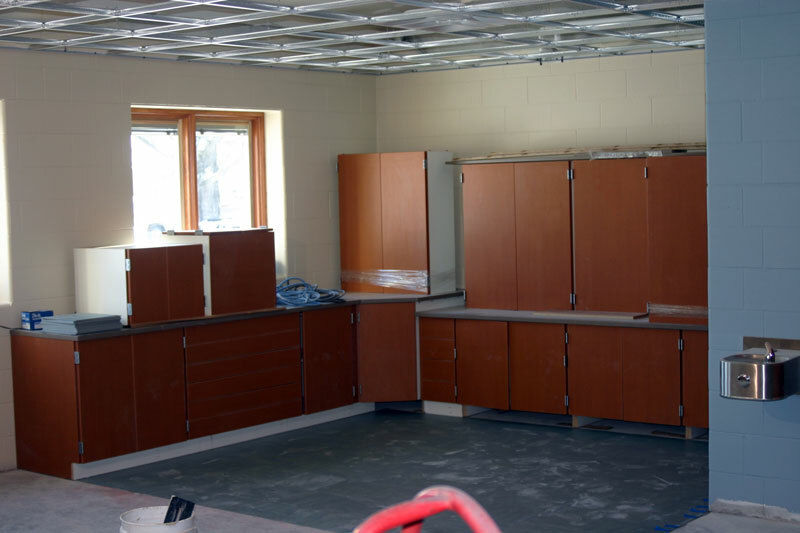 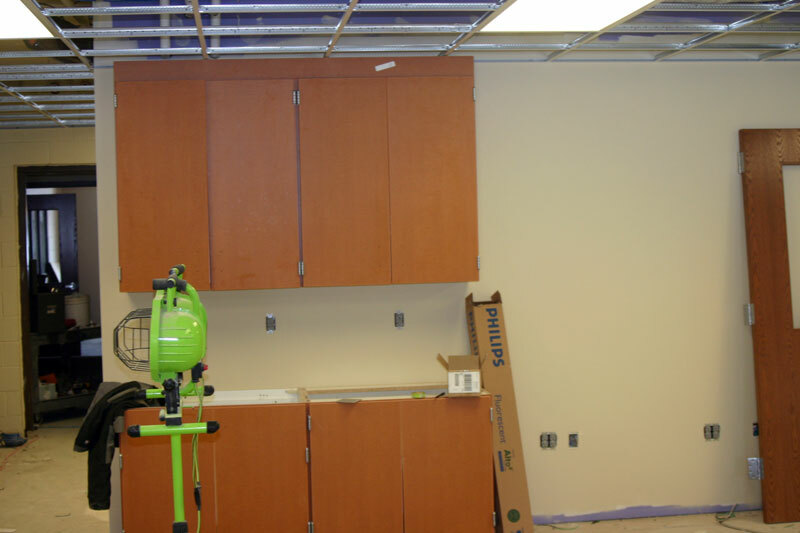 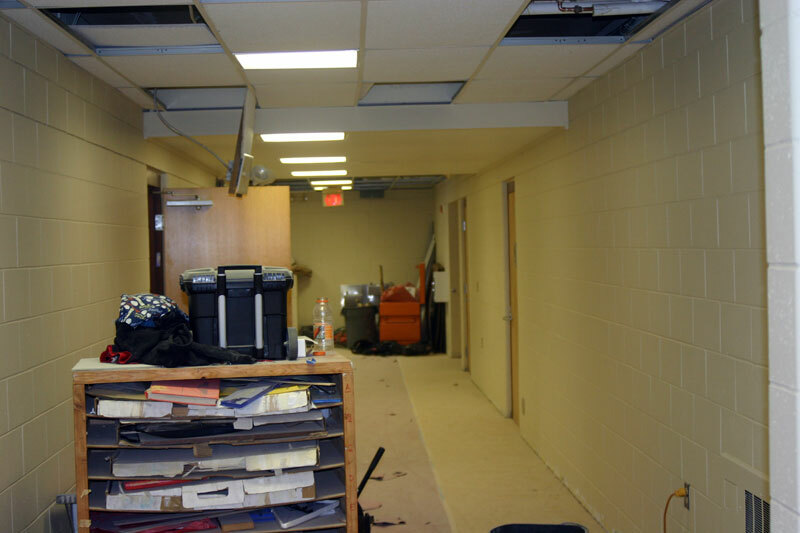 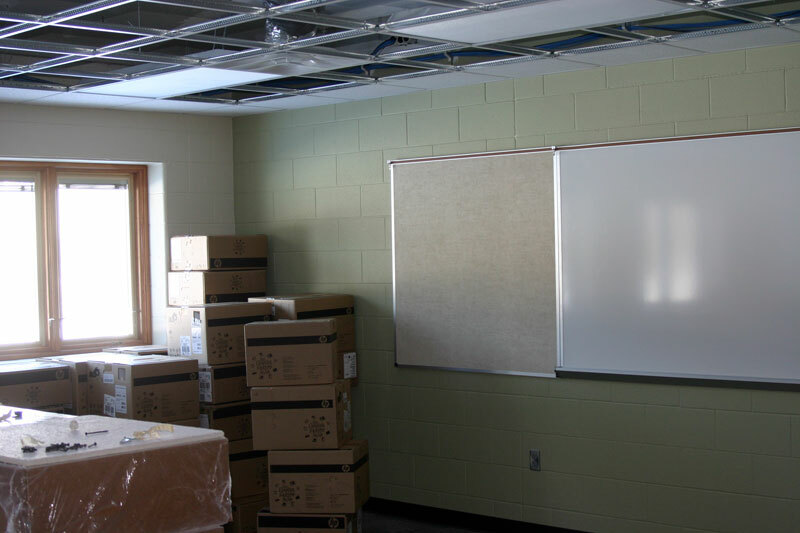 The high school area classrooms look like there is very little yet to be completed except inserting the ceiling tiles in the suspended ceiling and finishing touches put on each room. 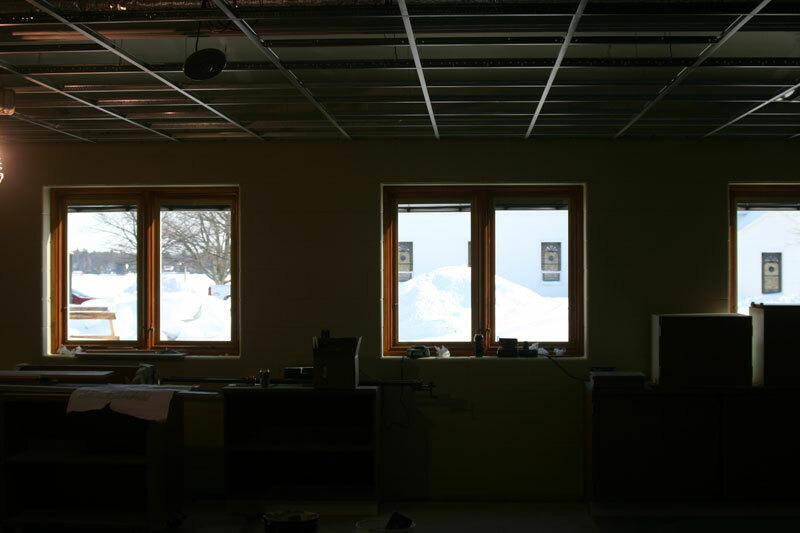 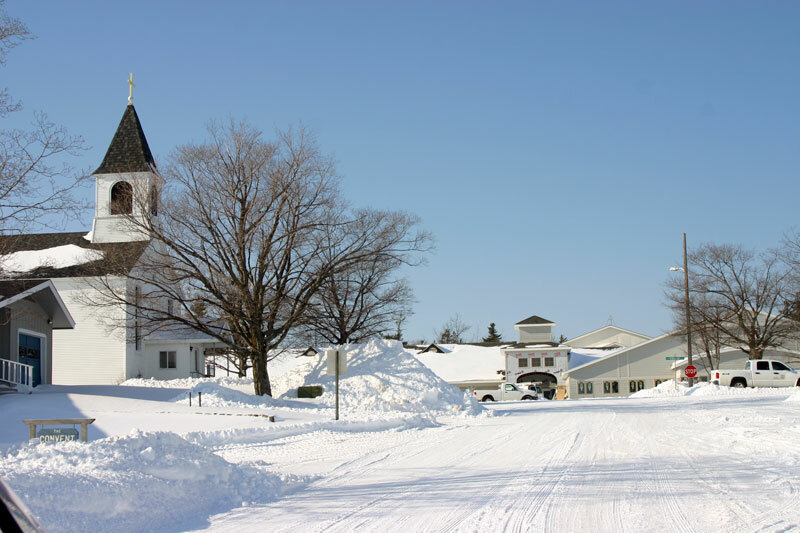 The structure is beginning to look at lot like the artists rendition as it approaches completion. 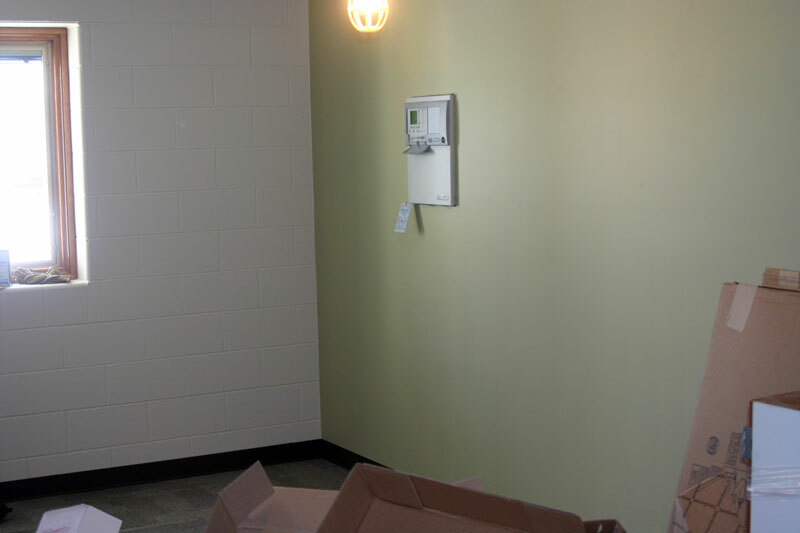 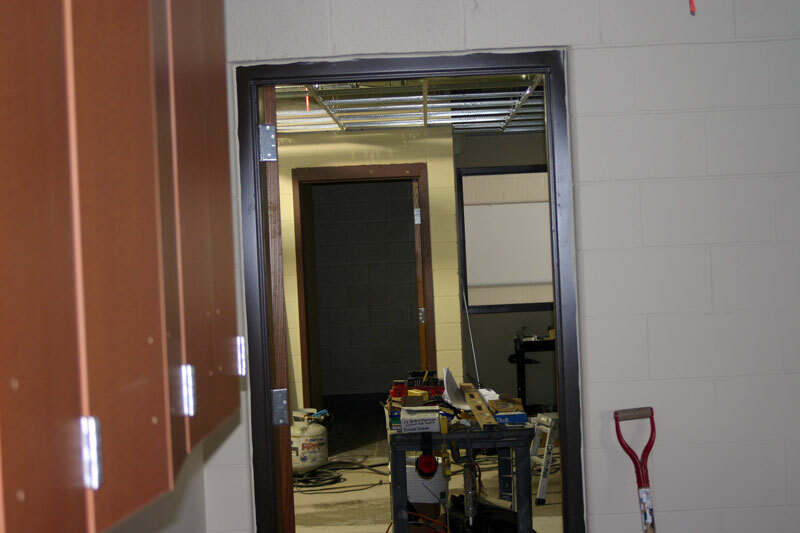 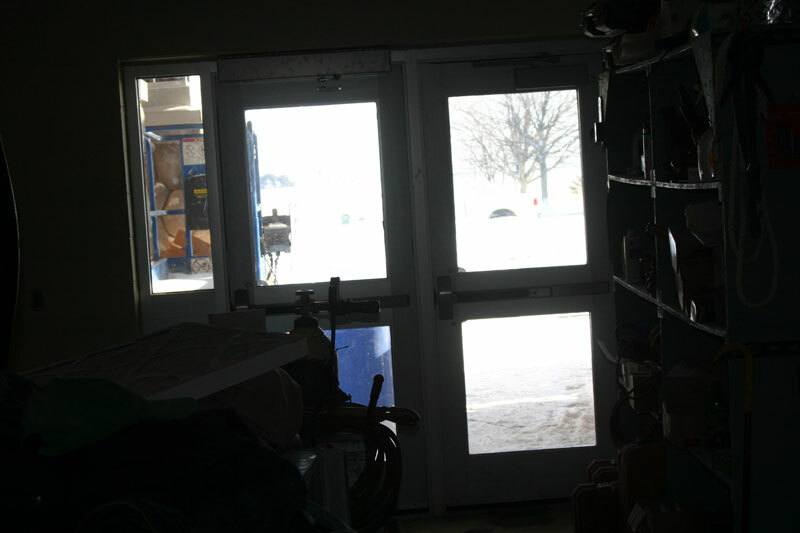 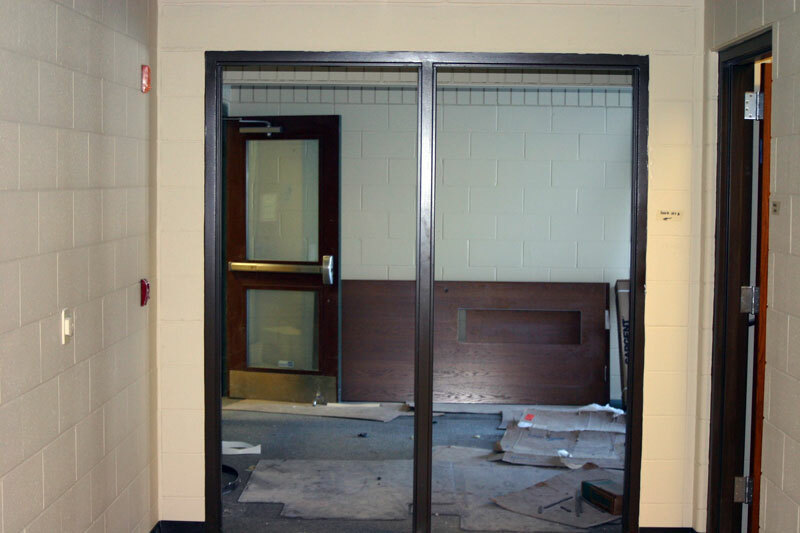 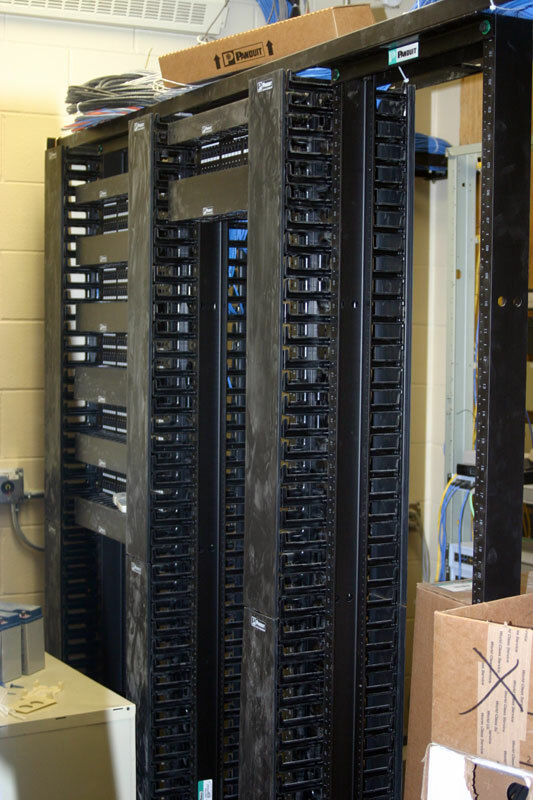 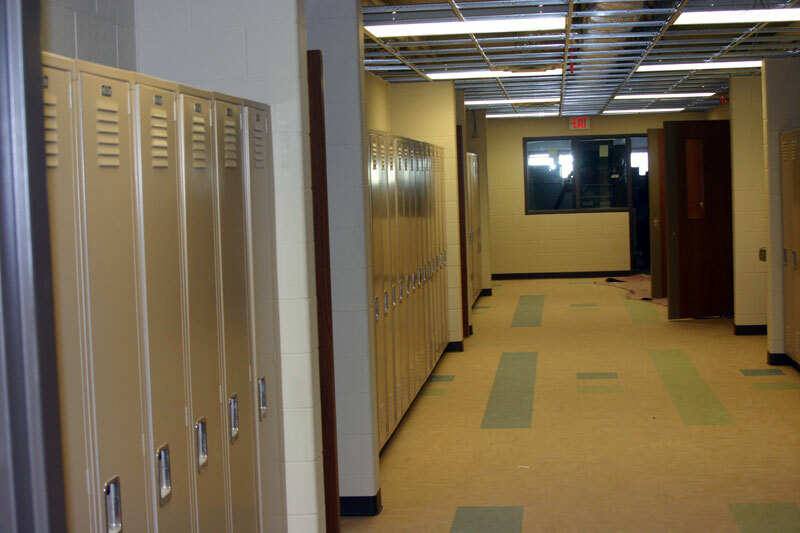 A look down the high school hallway where the student lockers are installed. 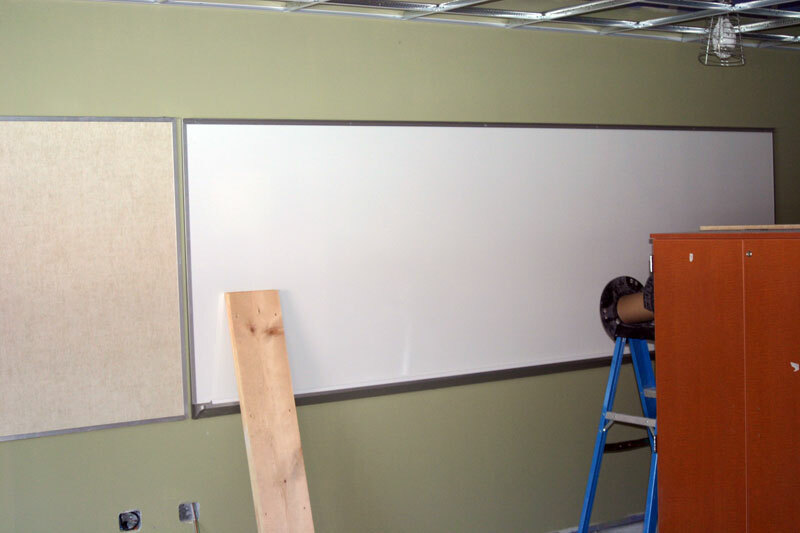 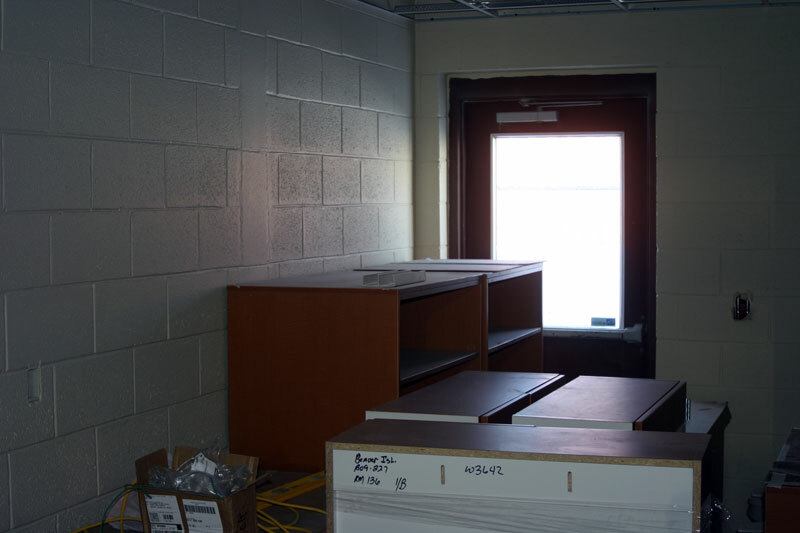 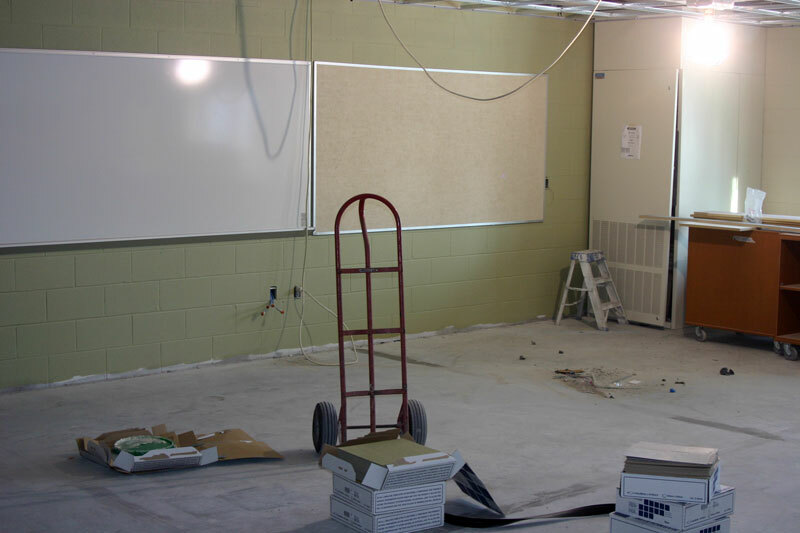 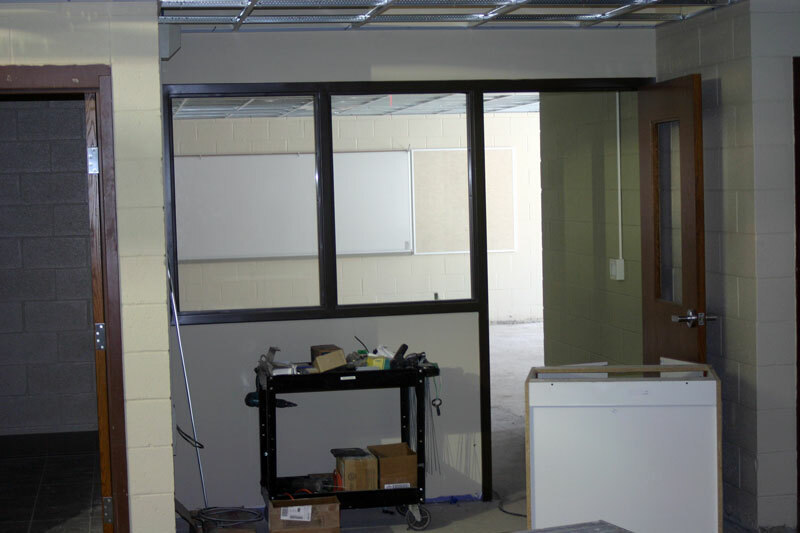 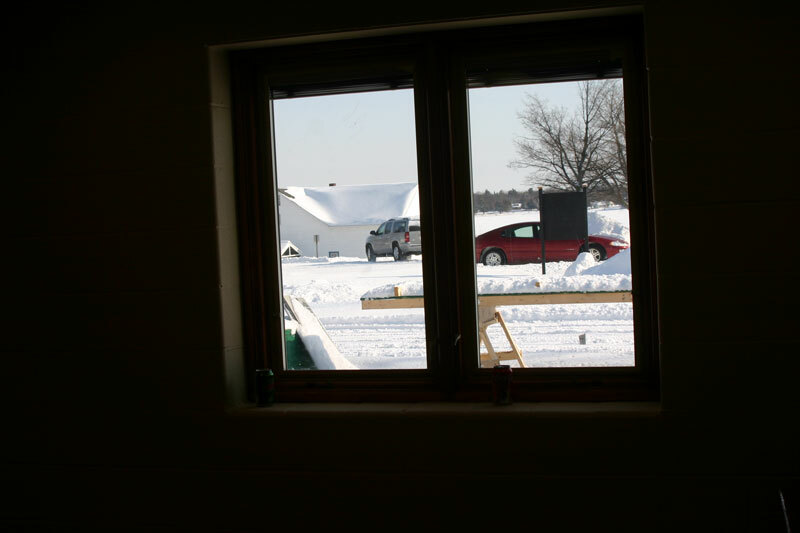 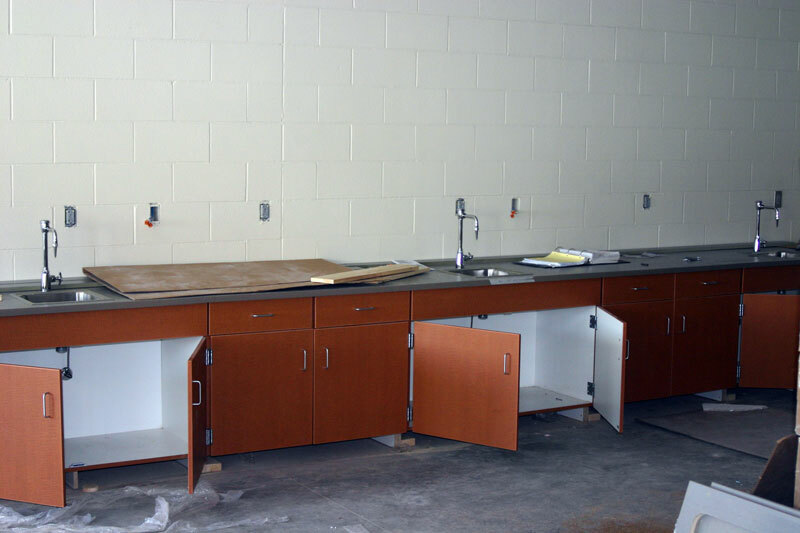 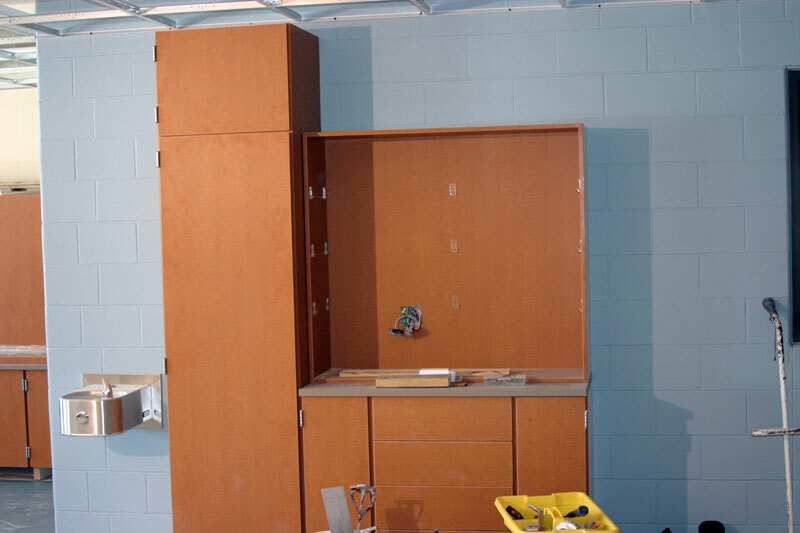 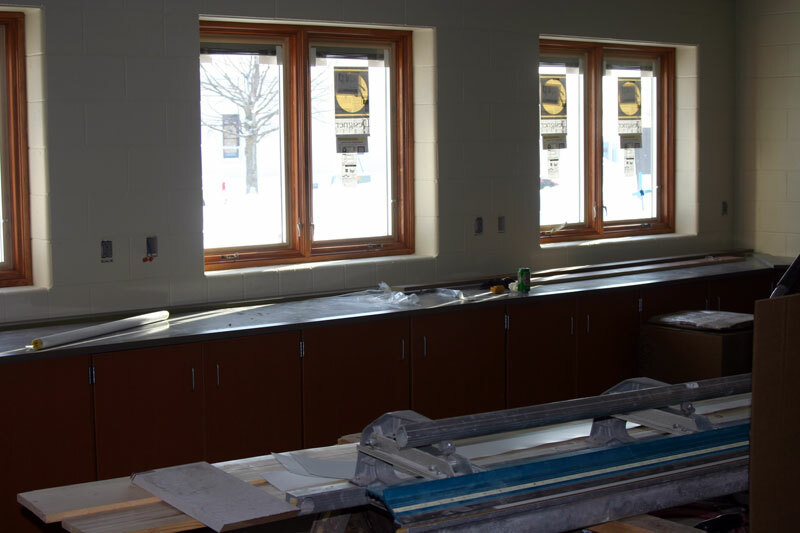 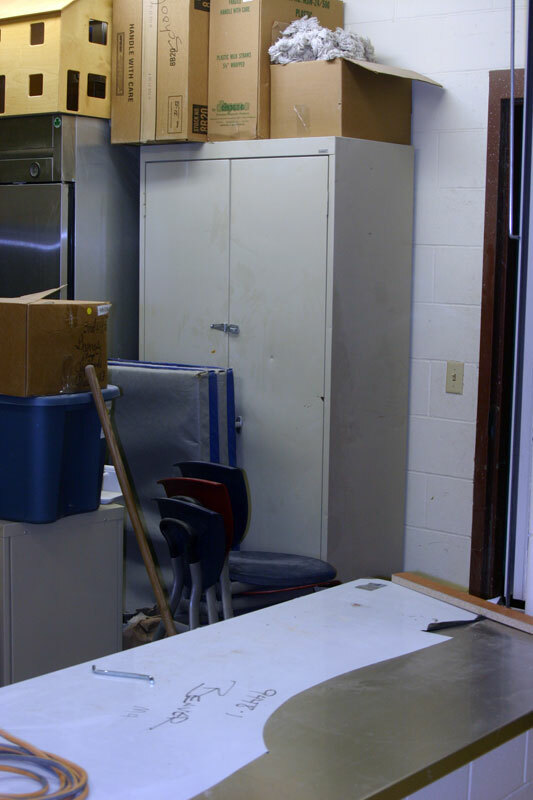 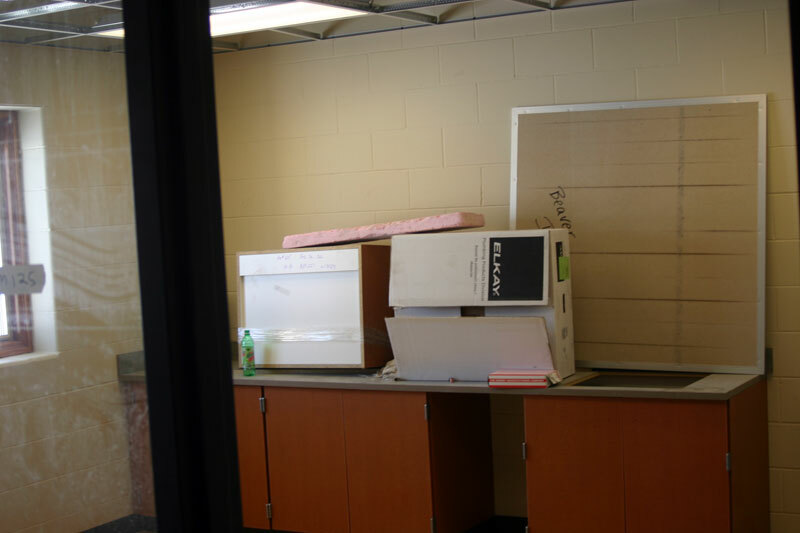 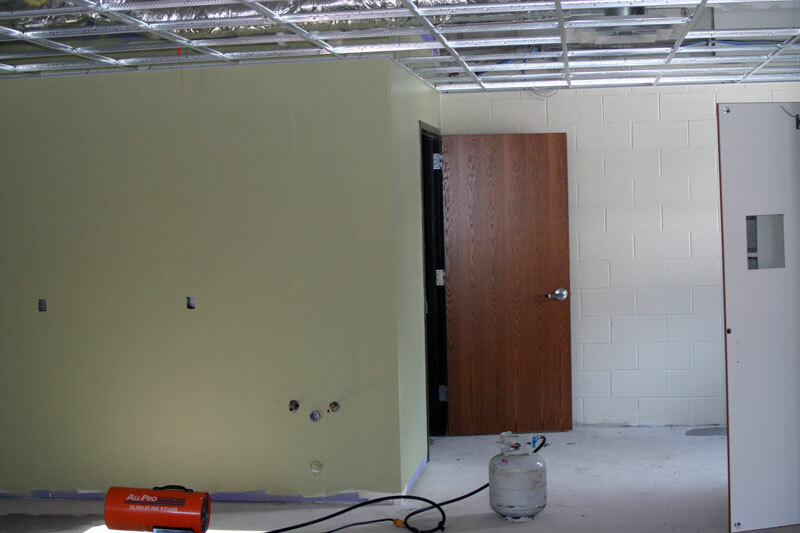 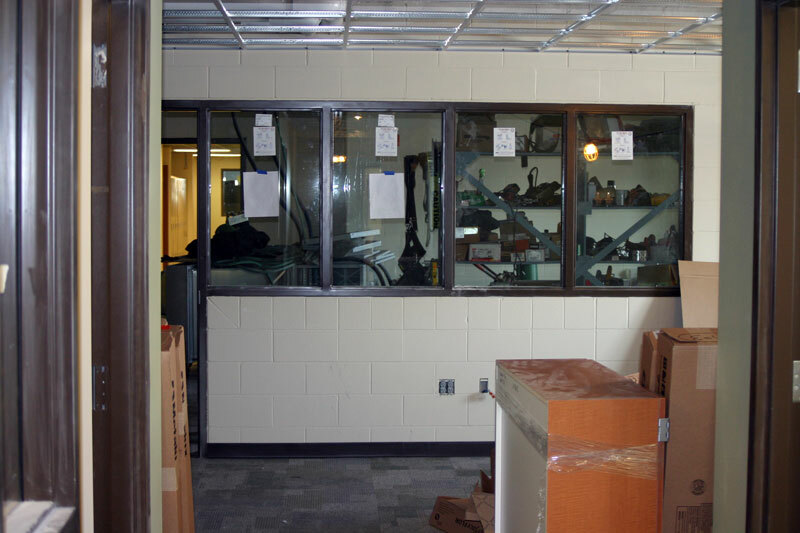 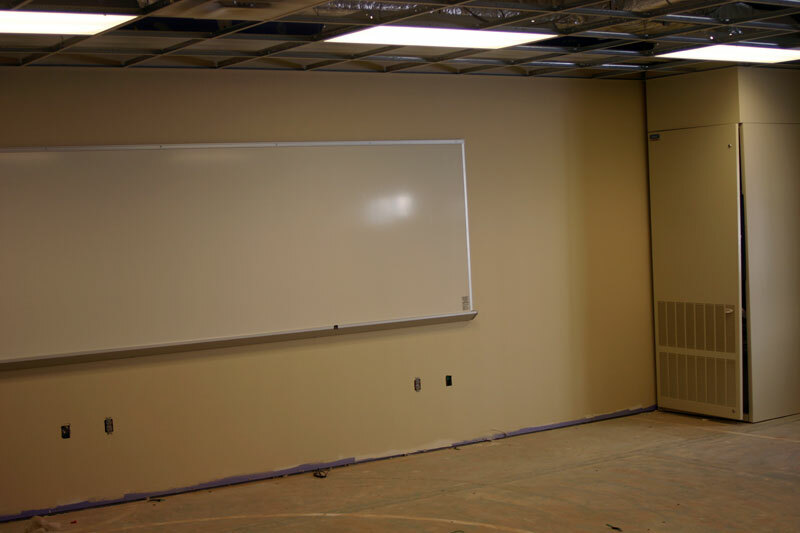 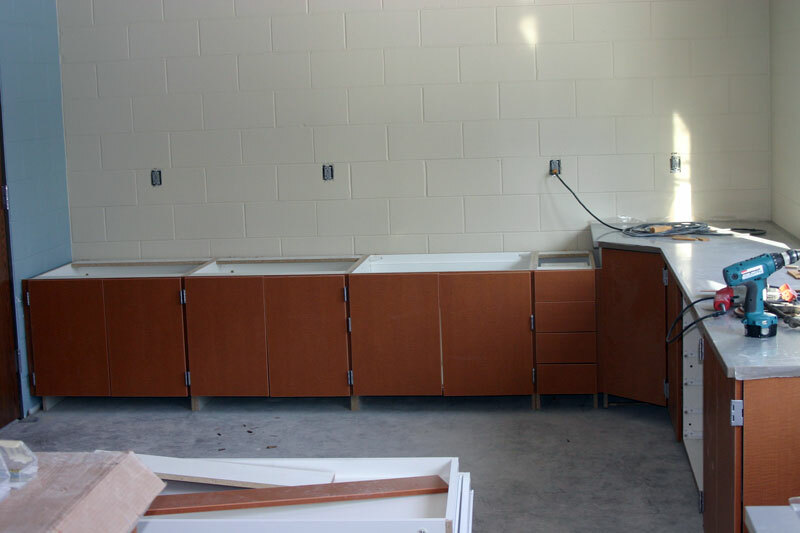 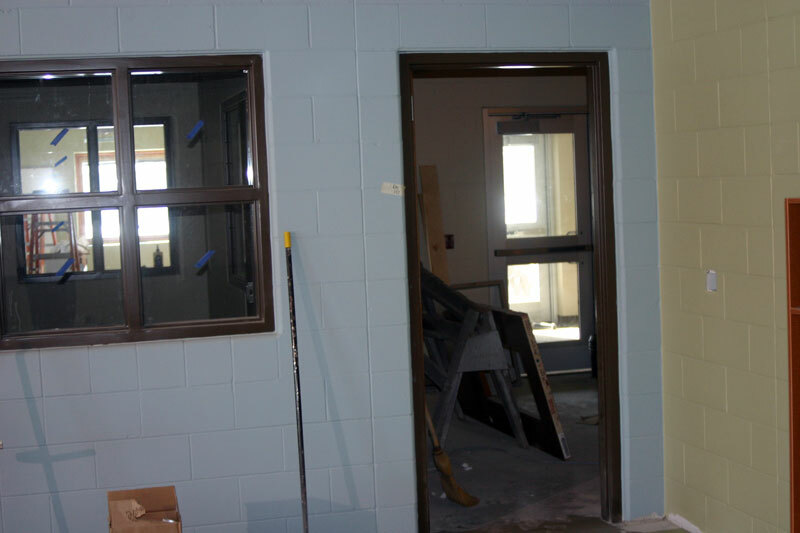 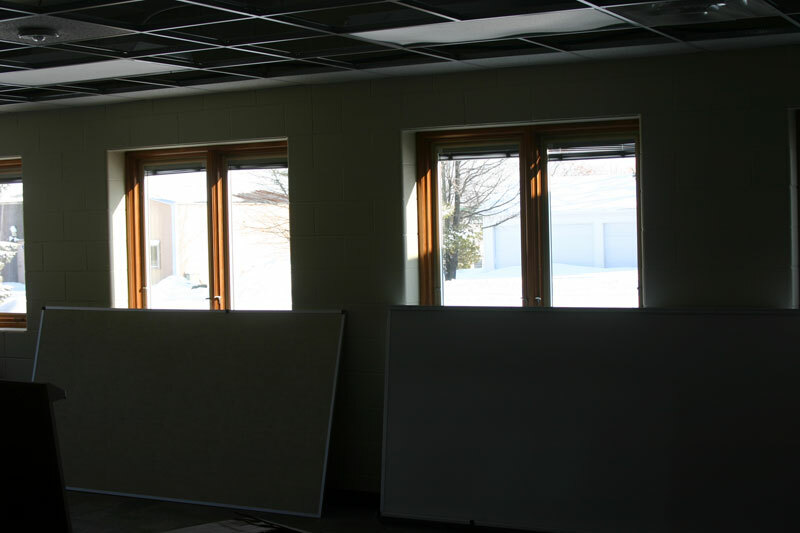 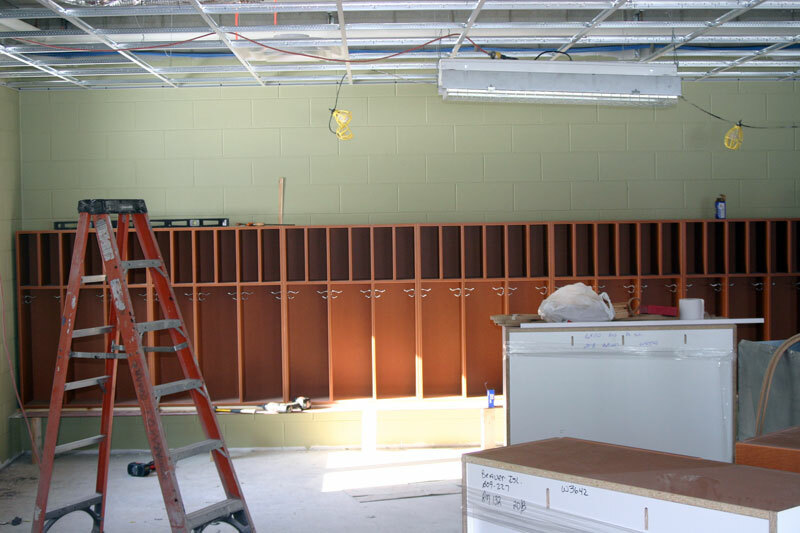 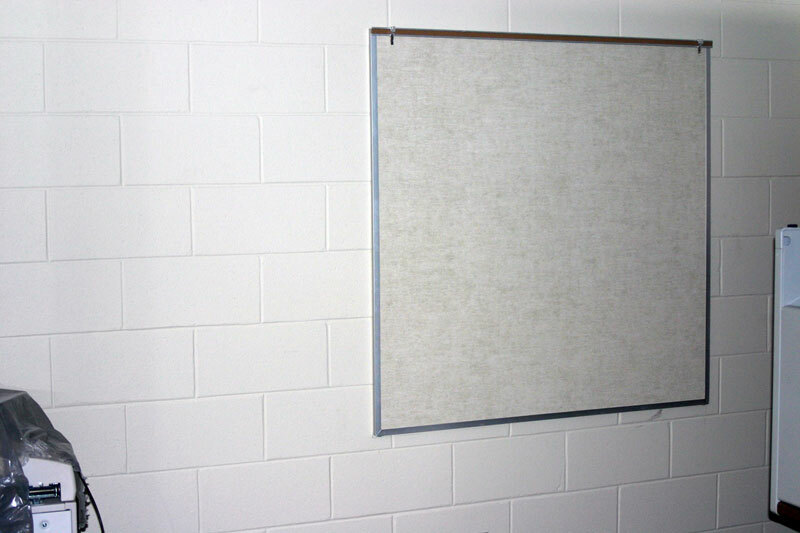 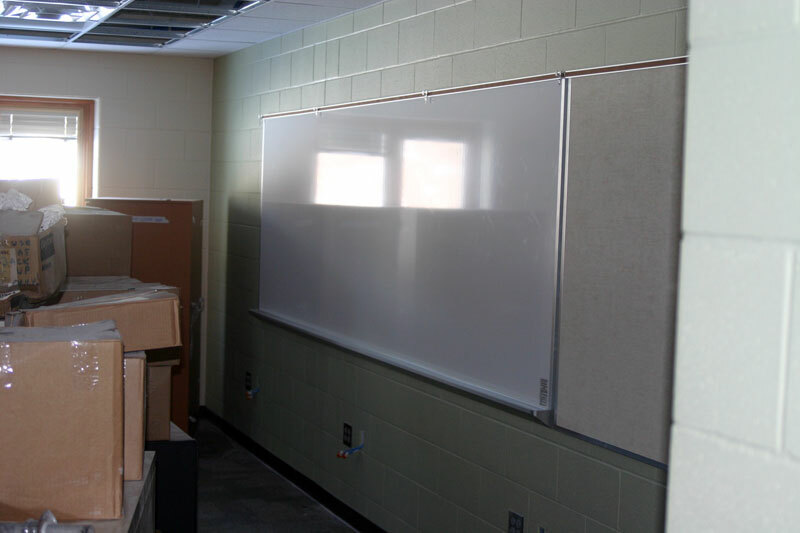 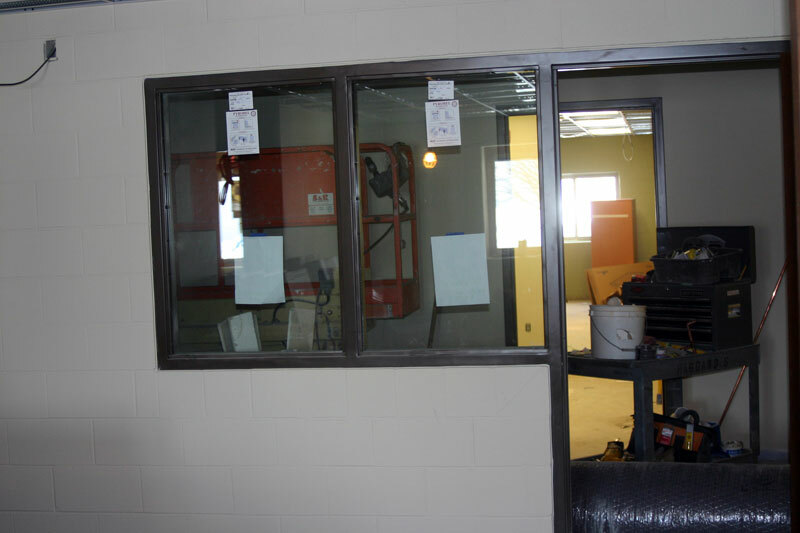 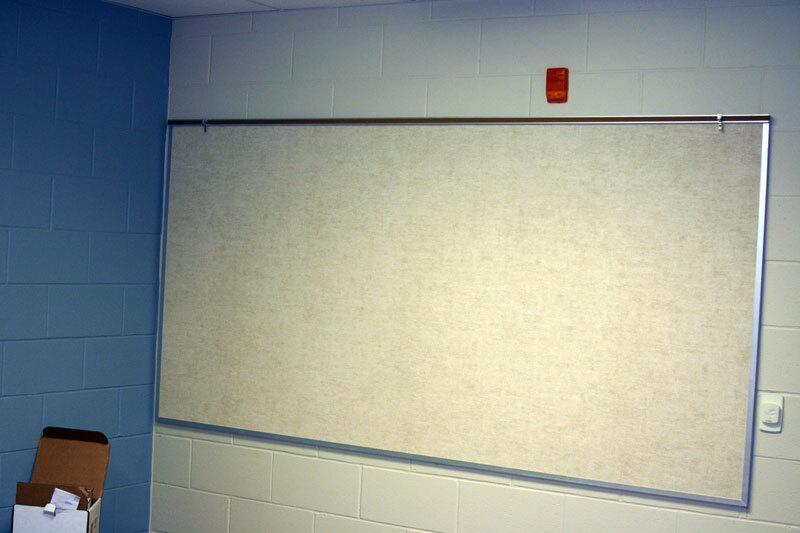 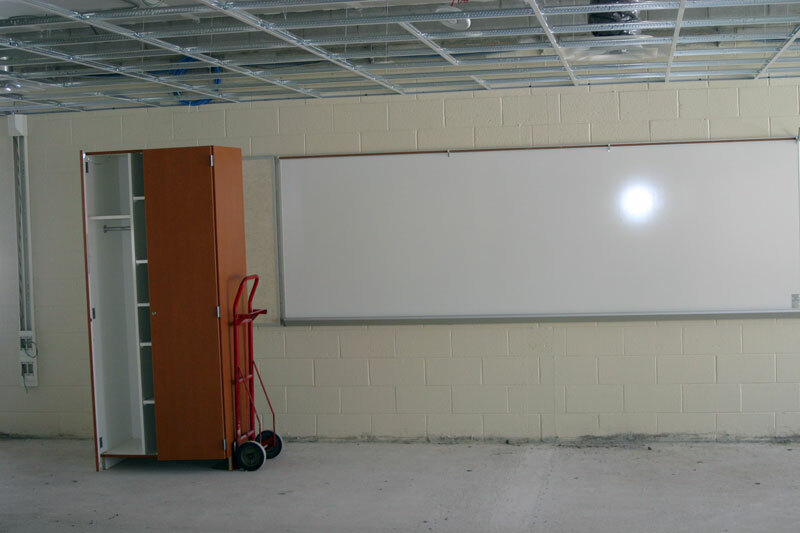 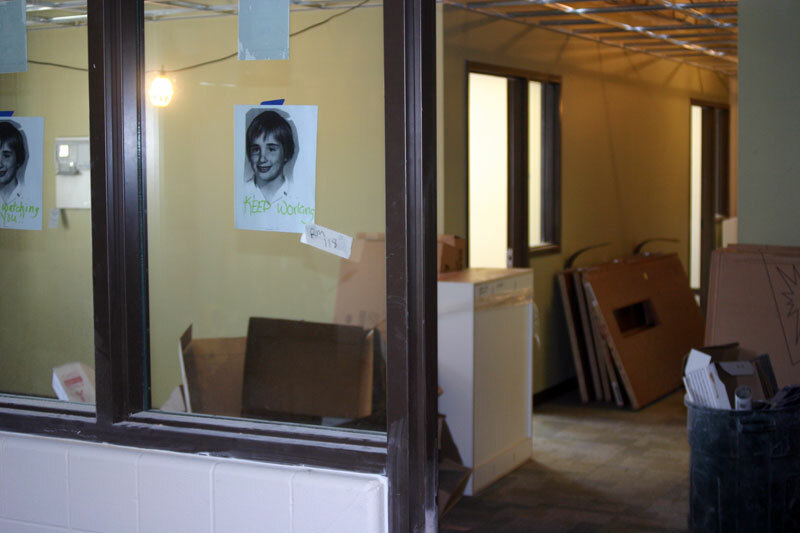 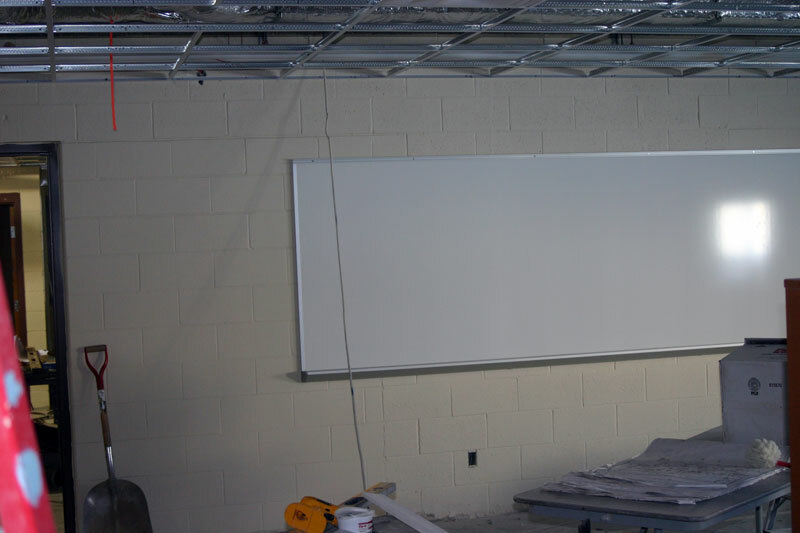 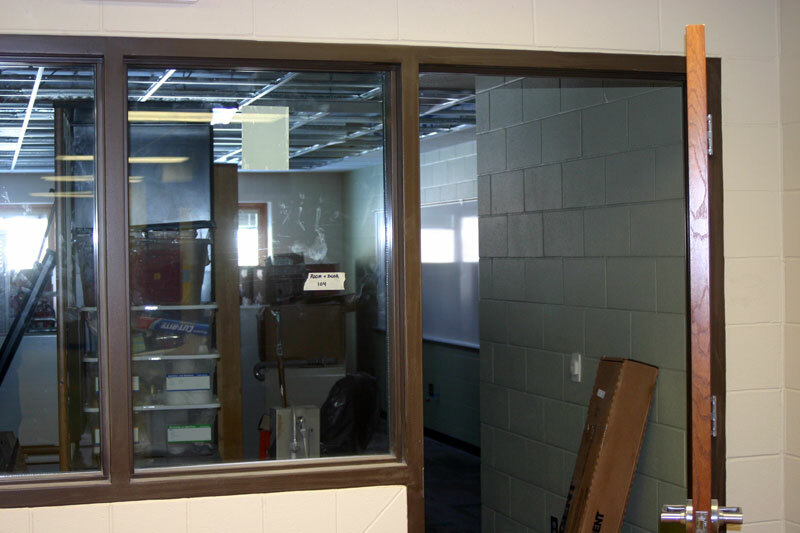 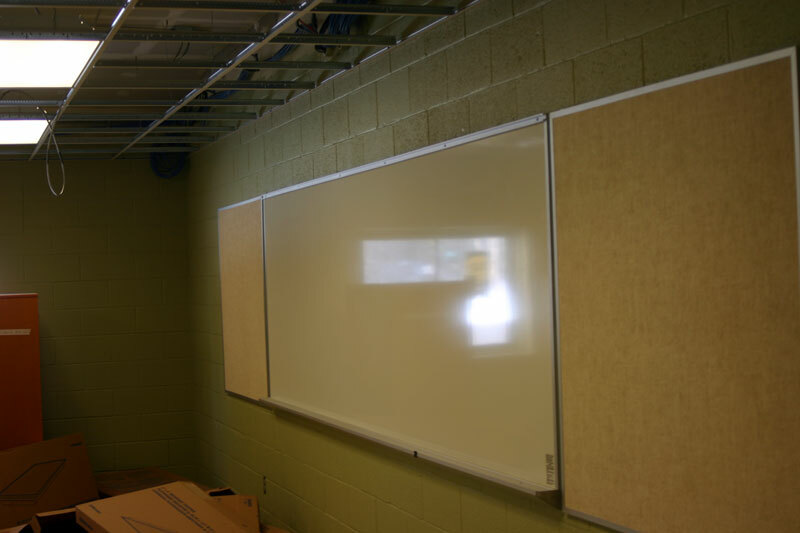 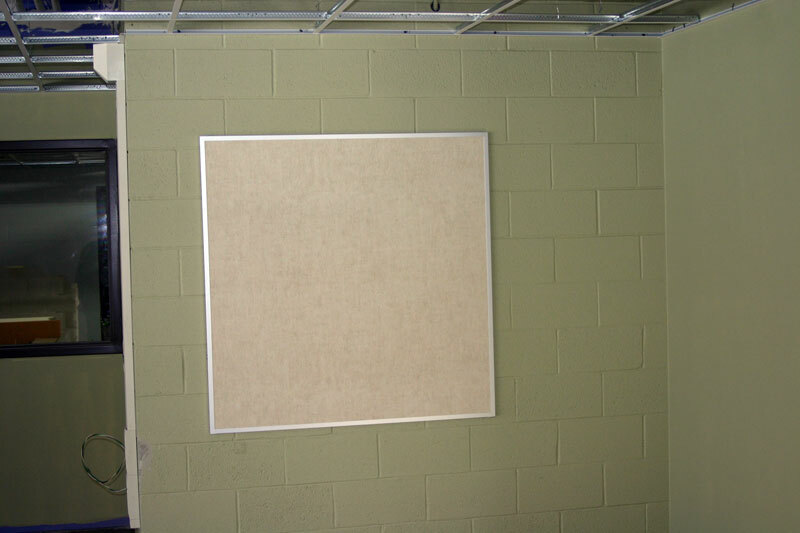 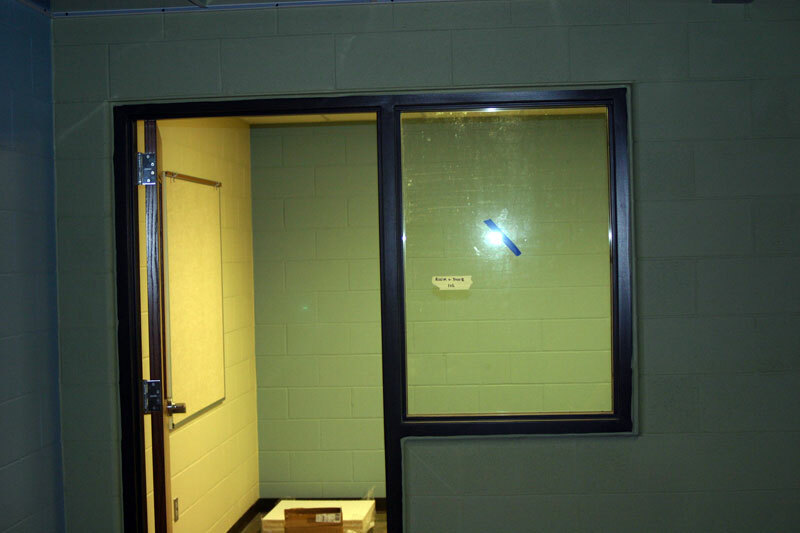 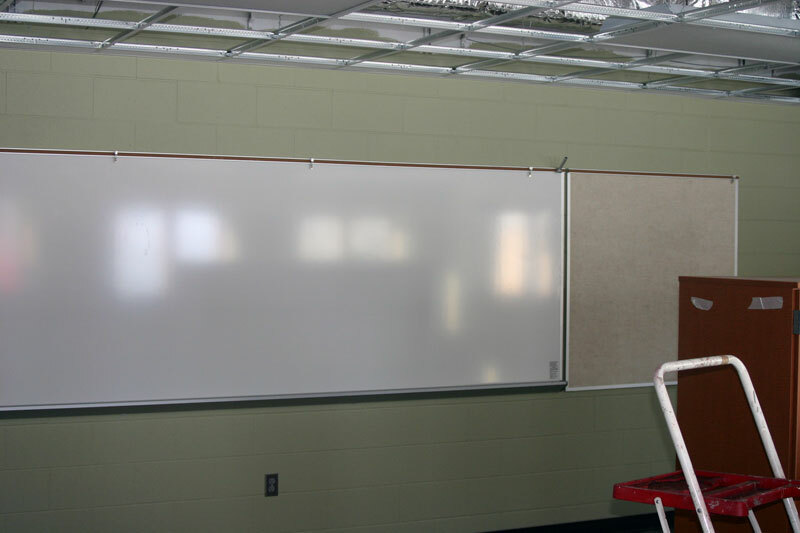 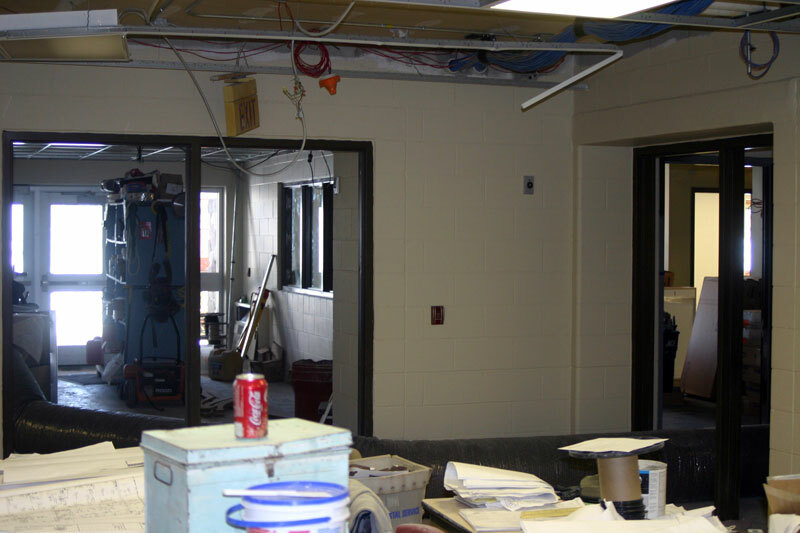 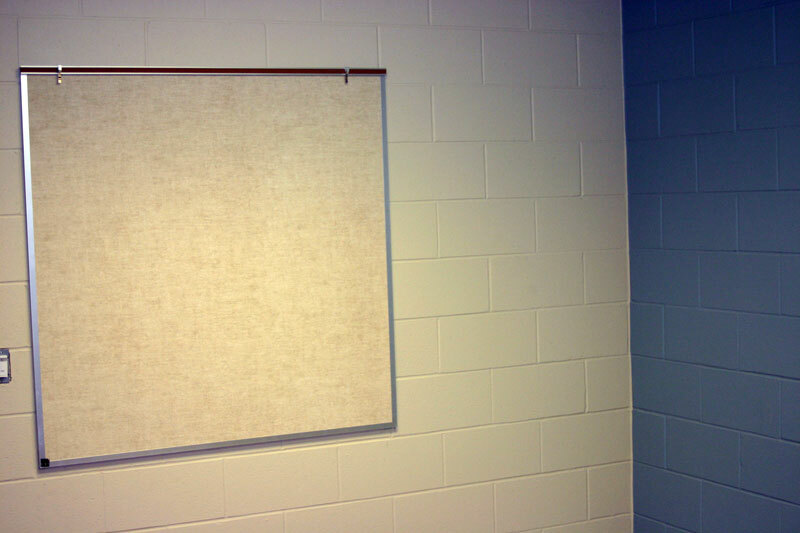 It looked like the majority of the white erasable boards were installed with some furniture needed some work, but otherwise the high school area is most close to being completed. 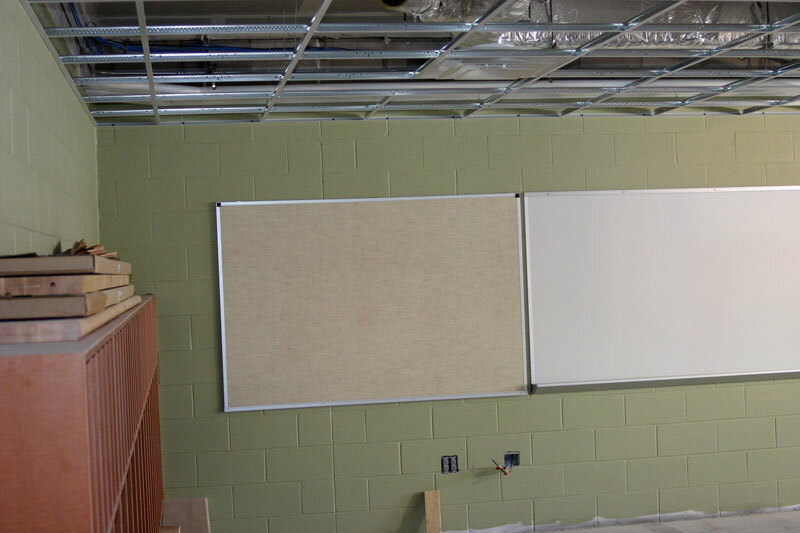 More and more completed........awaiting inspection and then installation of the ceiling tiles.. 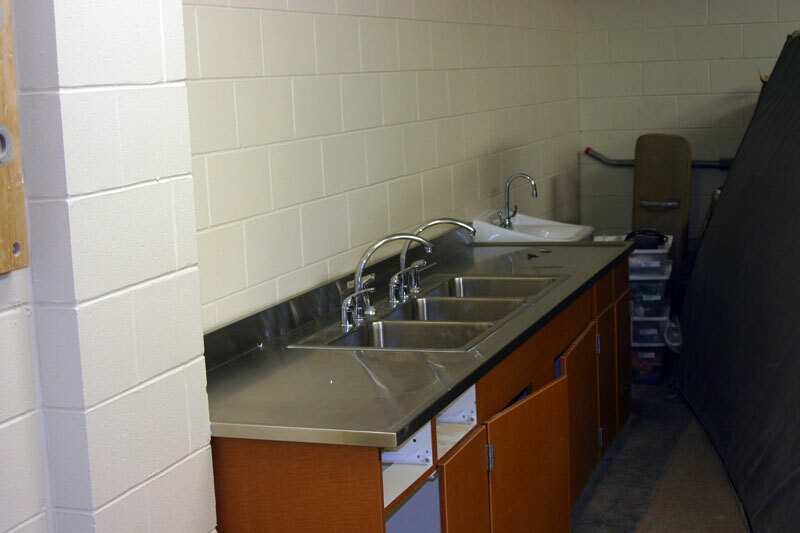 The rooms are not labeled for usage, but this is obviously a science lab with the sinks and counters. 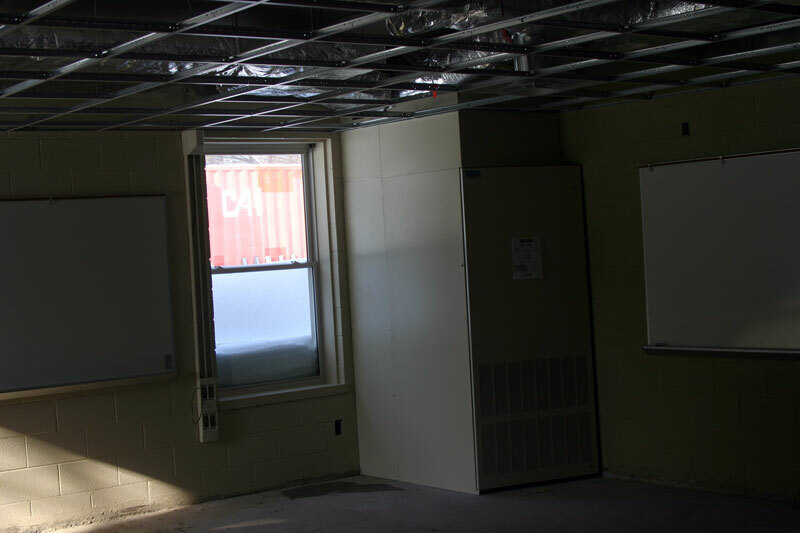 One interesting feature includes the fact that the classroom lights come on as you walk into the classroom. 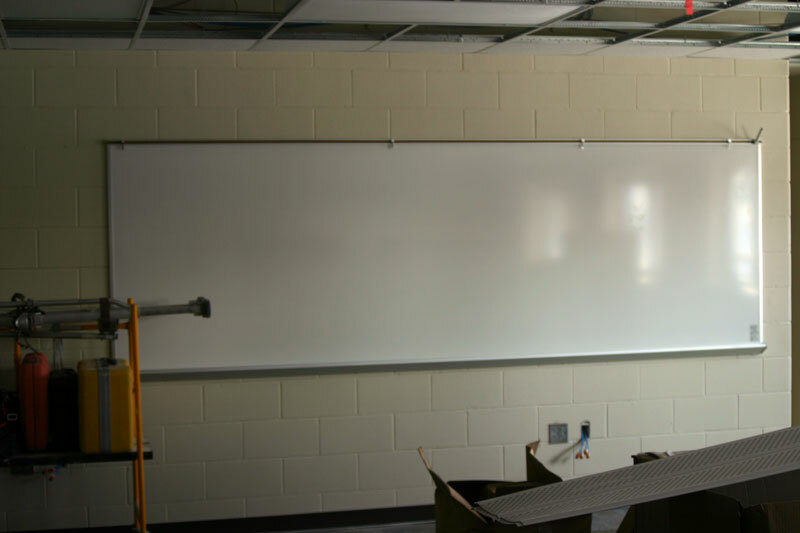 How will they be controlled for films and movies and Powerpoint presentations? 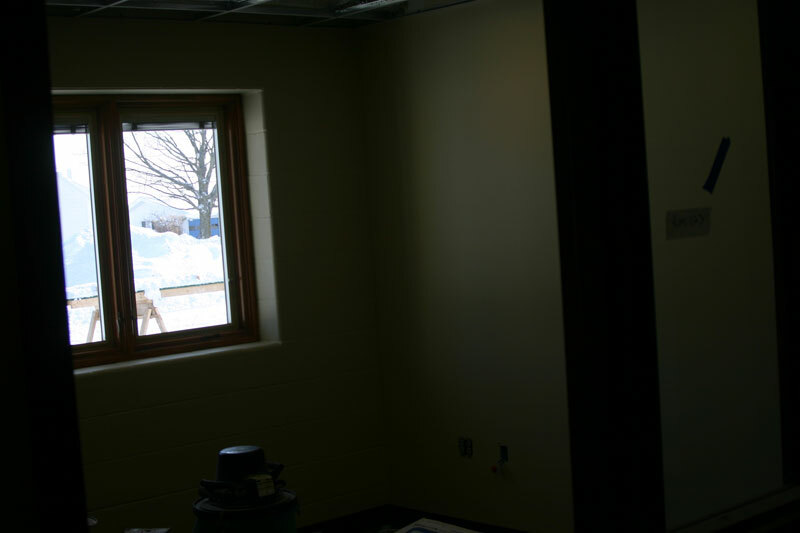 This smaller room seems completely finished. 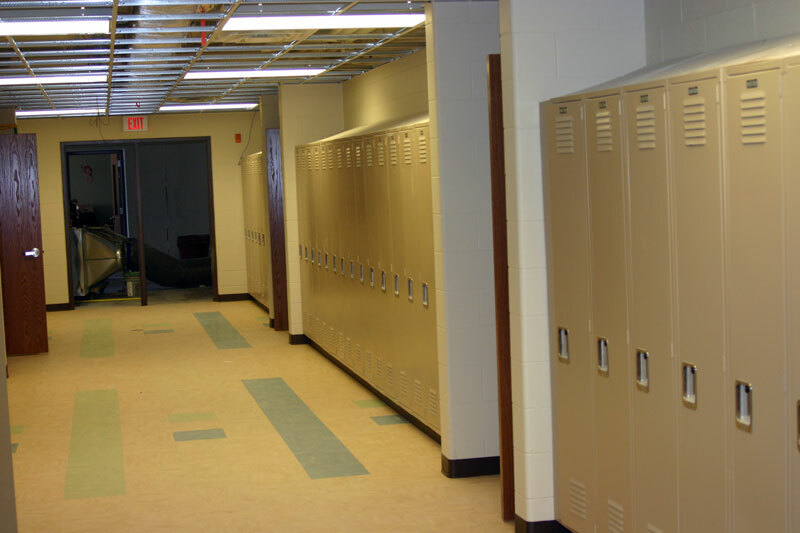 Back to the high school hallway looking from the opposite direction. 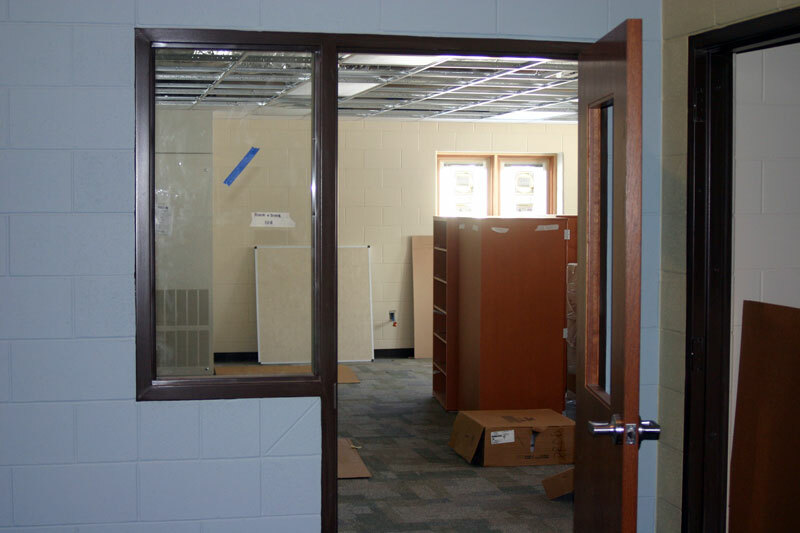 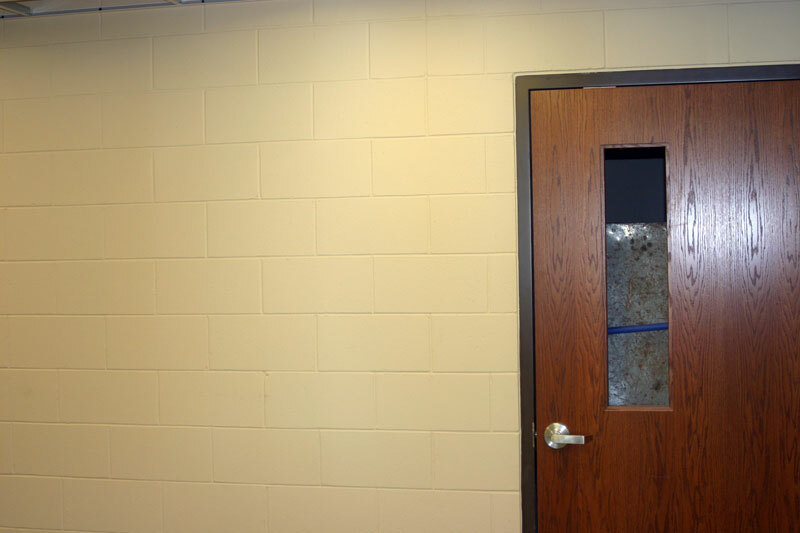 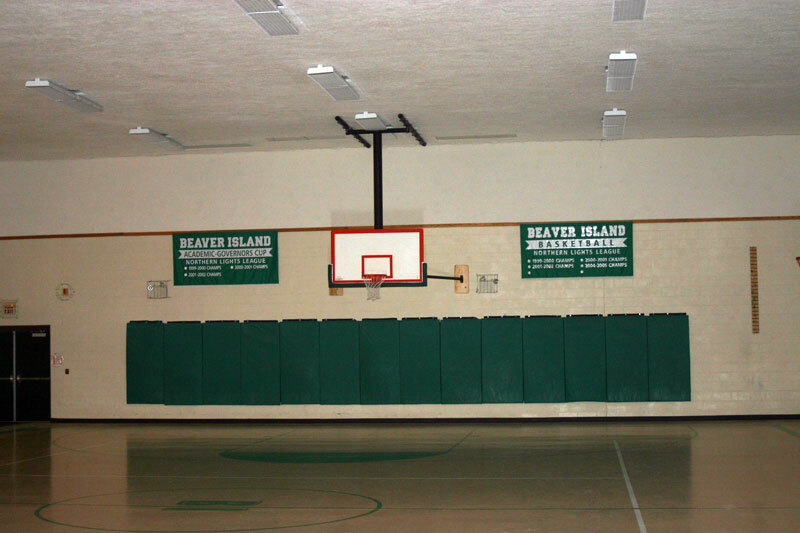 This room has the white boards and bulletin boards up, but is used for storage of lots of furniture, etc..
A hallway walk through from the high school area to the gymnasium hallway. 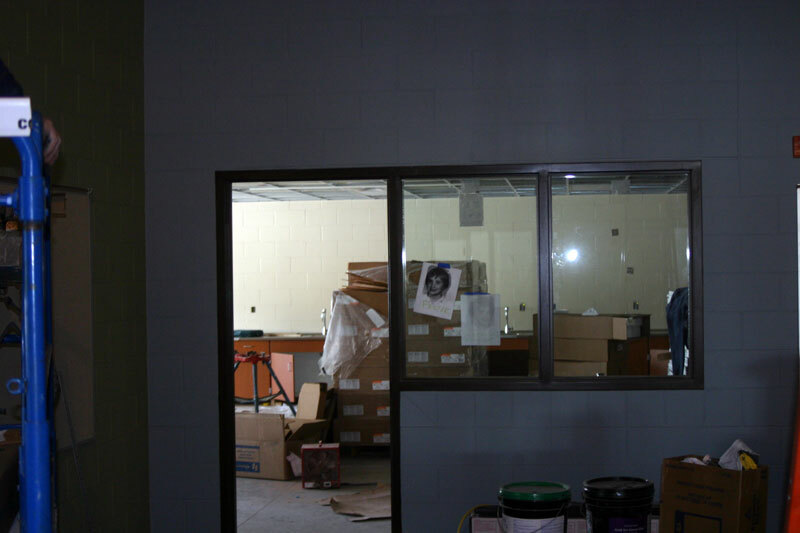 The old "weight room" of the gym is being set up for serving lunch...etc. 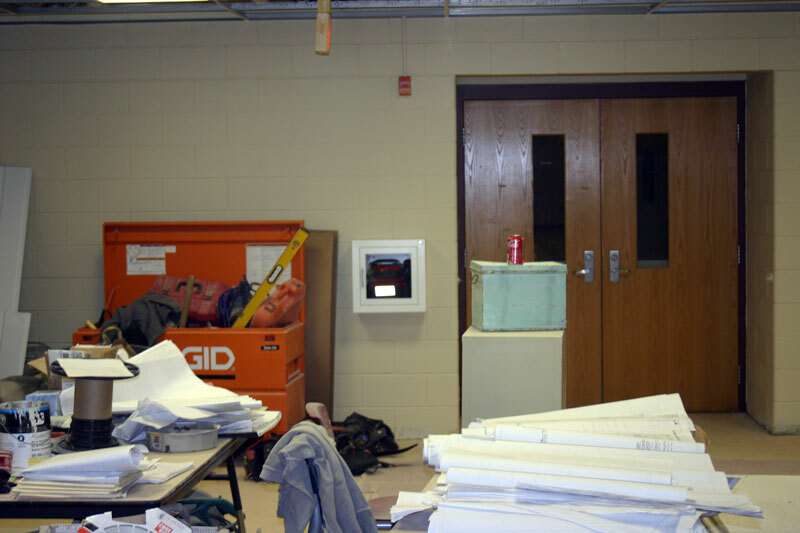 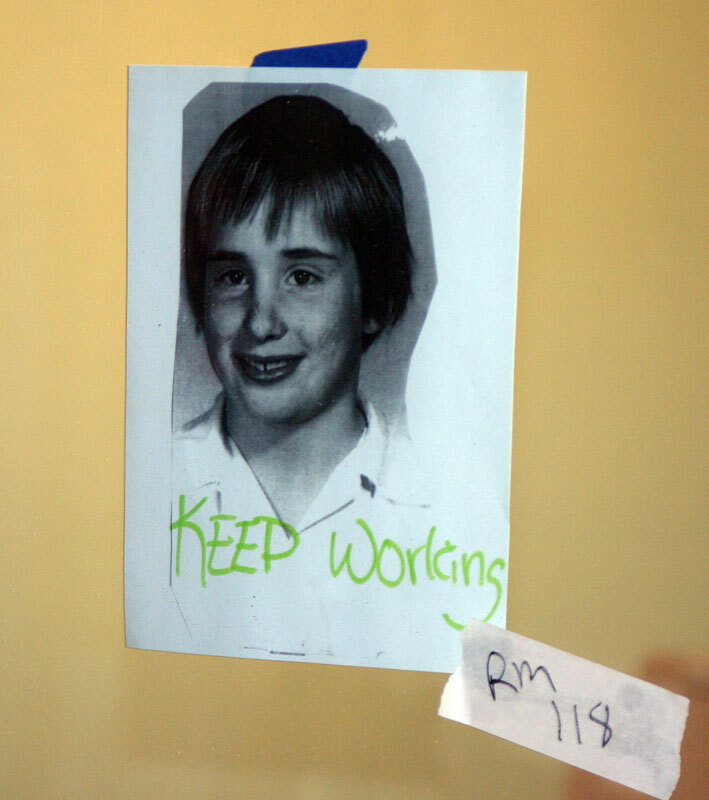 A quick look at an amusing picture and joke for the construction crew. 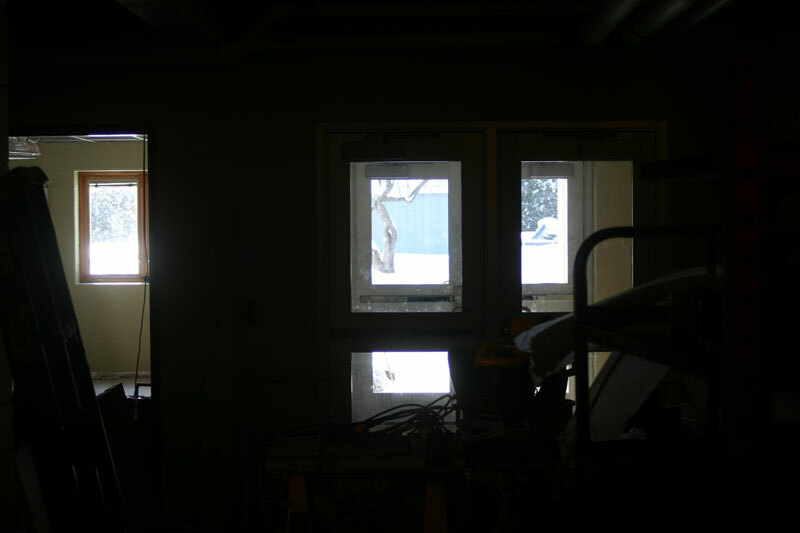 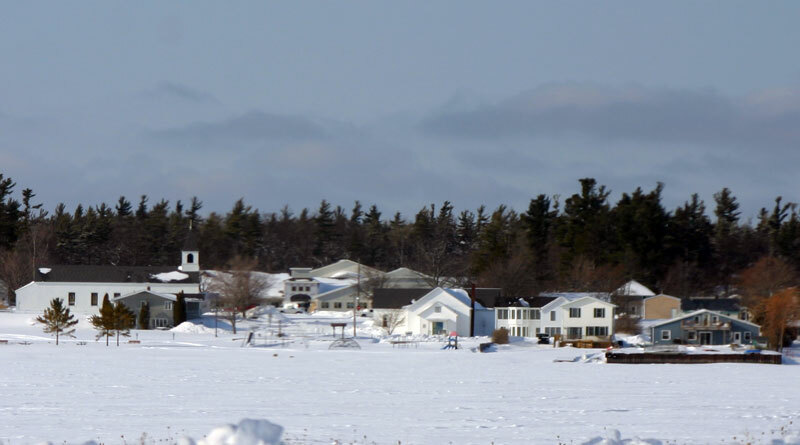 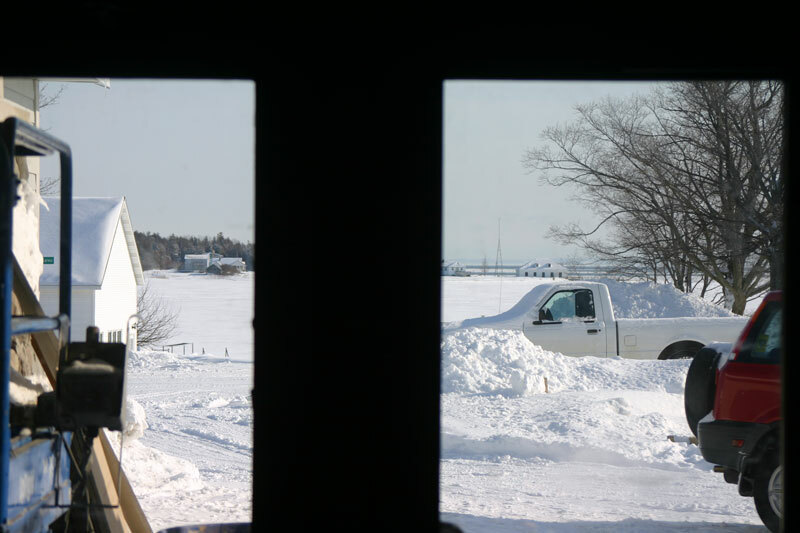 These rooms still need quite a bit of work from the old part of the school..
A look from Whiskey Point...Can you see the new school building?